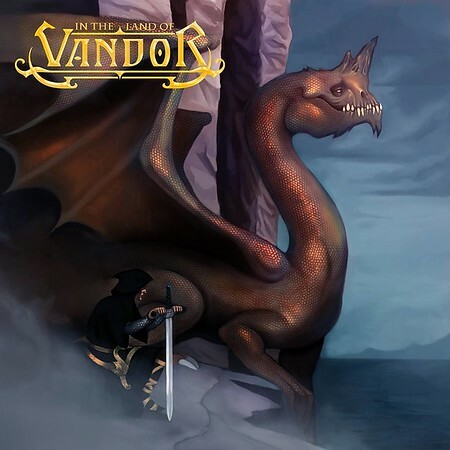 Swedish power metal band Vandor self-released their debut album “In The Land of Vandor” on 25th January. The band formed initially in 2015 but was largely inactive for a while before regrouping in 2017. The tracks on the album were written during that time and the band has already started writing tracks for a second album. The track “Beneath The Sky” was included on the Friday NI Rocks Show on 25th January. Vandor was formed in 2015 by brothers Vide Bjerde on vocals and guitar and Alve Bjerde on bass. They eventually recruited guitarist Jack L. Stroem and keyboard player Uno Rosengren. In the studio they were joined by session drummer Robin Risander. Additional drums were provided by August Svärdström and there are guest vocals from Anja Hedenskog. There are eleven tracks on the album – including electric and acoustic versions of the track “Possessive Eyes”. They range from a minute long intro to an epic thirteen minute long track called “Uncover The Earth”.